A strange happening in England that they plan to help patients that are addicted to tablets provided by their doctor. According to the authorities that know better than the doctor, doctors are over prescribing heavy medicine to patients and turning people into drug addicts for prescription drugs. This is all very peculiar. 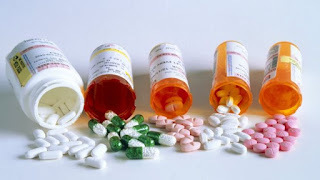 Why are doctors giving their patients more than 4 weeks supply if they know that by continue taking these drugs that the person is going to need more help and more financial resources to break free. Surly here the onus lays with the prescribe-r.
Actually with the plan to cut out about 3000 Pharmacy's in England they may well cut down on prescriptions. It is already a pain in England to be able to get off the shelf in a Pharmacy some things that doctors prescribe. Living in a city one person was unable to get a hold of an ointment prescribed from any Pharmacy. May be Online Pharmacy's will be the only answer. BBC News Report - Doctors' leaders are calling for the urgent introduction of a UK-wide 24-hour helpline for prescription drug dependence. The British Medical Association (BMA) has said there should be more support for people coming off the drugs. Benzodiazepines - taken for severe anxiety, insomnia and sometimes pain relief - are a particular concern. Public Health England said it supported local services to help address drug addiction issues. Figures from NHS Digital show just over 10 million prescriptions for benzodiazepines were issued last year in England, 0.9 % of all prescriptions dispensed during 2015. According to government guidance, the recommended maximum time for which benzodiazepines should be prescribed is four weeks, to reduce the risk of dependency.